Kelly Cahill, manager of a health-care company in Halifax, isn’t a total sports newbie – for years she has been a runner and hit softball diamonds. 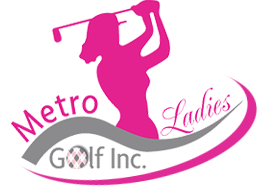 Her foray into golf started because she wanted to play alongside her husband, a long-time golf enthusiast, so she joined PGA of Canada pro Sara Wilson’s Metro Ladies Golf Inc. club four years ago to brush up on the game. “I’ve since dropped the husband and kept up golf,” says Cahill, 41, the mother of a 10-year-old son. The first few times on the links were “terrifying” because she was new to a sport that’s male-oriented, but she has since gained many friends and opened herself to other athletic and social adventures. She even plans to take up curling this fall after experiencing an event put together by Metro Ladies Golf.